Vori is a beautiful, traditional village of the county of Pirgiotissas in the Messara Valley. It is located 60 km south of Iraklion and in the western part of the Messara Valley. The village stretches in a slope, by the side of a small river. The archaeological site of Phaistos is 2 km to the south and the coast of Messara 4 km to the west. 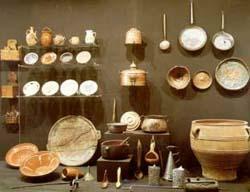 The Museum of Cretan Ethnology in the little town of Vori is an institution of the Cultural Association of the Province of Messara. It was erected between 1977-1982 and opened its doors to the public in 1988. The Museum has 20.000 visitors per year.